An article published shortly after Philando Castile was killed by police officers in Minnesota falsely reported that he was a suspect in an armed robbery case. Philando Castile was wanted for armed robbery when he was killed by police officers. Police who pulled over and killed Philando Castile reported they thought he might have resembled a suspect in an armed robbery case. Philando Castile was not "wanted" on an armed robbery charge or a "suspect" in such a case at the time he was killed. Unfortunately, the false statements in the video — which have gone viral, and are being pushed by the mainstream media — have created a backlash against police officers. Although the KARE report noted that the audio was provided by a viewer and had not been authenticated by officials, the license plate number mentioned in the audio did match Castile’s car, and an alert had been issued about an armed robbery that occurred a few days before the shooting. But while this audio may document that a police officer thought Castile might have resembled a person wanted for armed robbery, that didn’t mean he was a “suspect” in an armed robbery case or that he was “wanted” for armed robbery, as both phrases imply some form of substantive evidence had specifically tied Castile to the crime. But at the time he was killed, nothing linked Castile to such a crime other than that an officer momentarily thought Castile might have looked a little like someone who had committed a robbery. This is a far-fetched if not outright false claim. The object pictured on the left of the above-displayed image can hardly be identified as a gun, let alone a specific make and model of gun that can be matched to a blurry a picture of a robbery. According to a press release from the St. Anthony Police Department, which contracts for police service in Lauderdale, the two robbed the Super USA store in the 2400 block of Larpenteur Avenue around 7:30 p.m., taking cash from the register and cartons of Newport cigarettes. 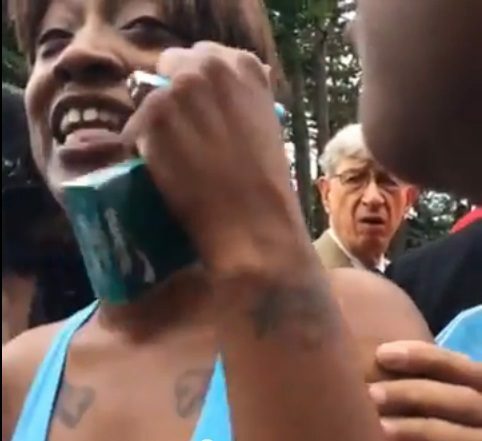 Of course, the fact that Reynolds was seen holding the same brand of cigarettes that were stolen days prior to her boyfriend’s death is hardly proof of anything. The Newport brand represents more than 10% of the market share for cigarettes, according to the CDC, which consisted of more than 40 million smokers in 2014. This is a trivial detail at best and a coincidence at worst. Philando Castile had a valid permit to carry a gun when he was shot and killed by a St. Anthony police officer, a source confirmed to the Star Tribune. 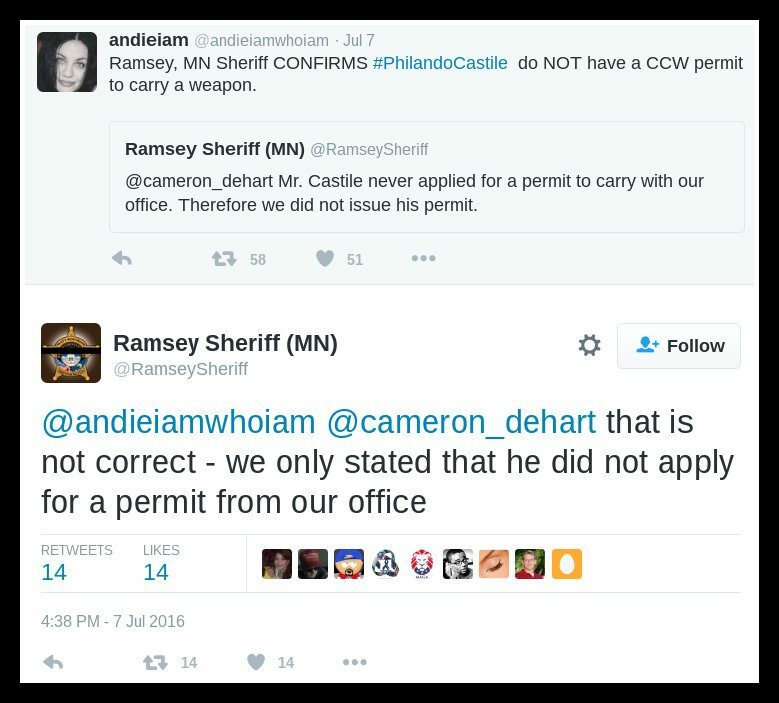 In the video, Reynolds said Castile told the officer, Jeronimo Yanez, that he had a permit and was carrying a gun. Yanez shot Castile multiple times. “He’s licensed to carry, he was trying to get his ID, his wallet out of his pocket and he let the officer knew he had a firearm and was reaching for his wallet,” Reynolds said in the video as a bloodied Castile lay in the driver’s seat dying. 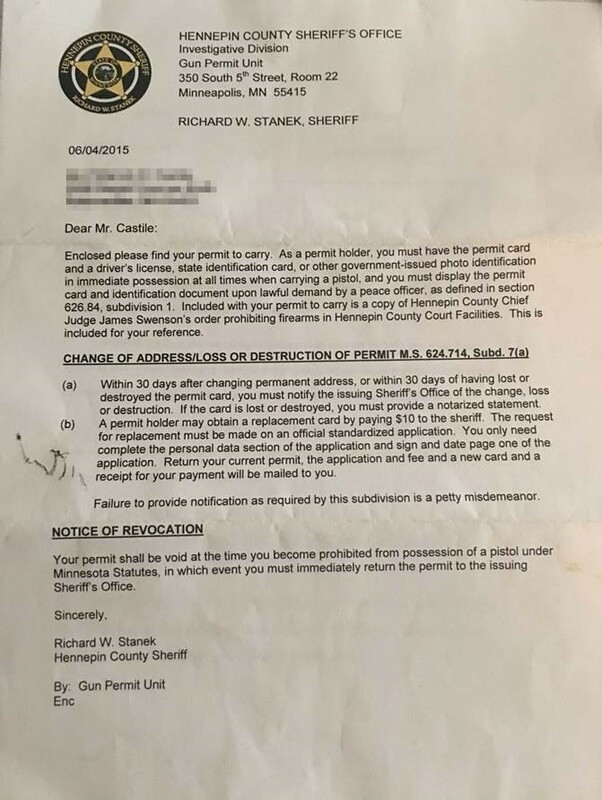 Although the names of gun permit holders are not public under state law, a source confirmed Castile was issued the permit when he lived in Robbinsdale. A copy of the letter that accompanied the issuance of Castile’s carry permit was later posted online. 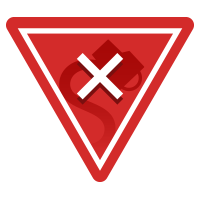 The Conservative Treehouse article employed a series of half-truths, misleading claims, and unsupported speculation in an attempt to justify the fatal force used by an officer during a traffic stop in Minnesota. 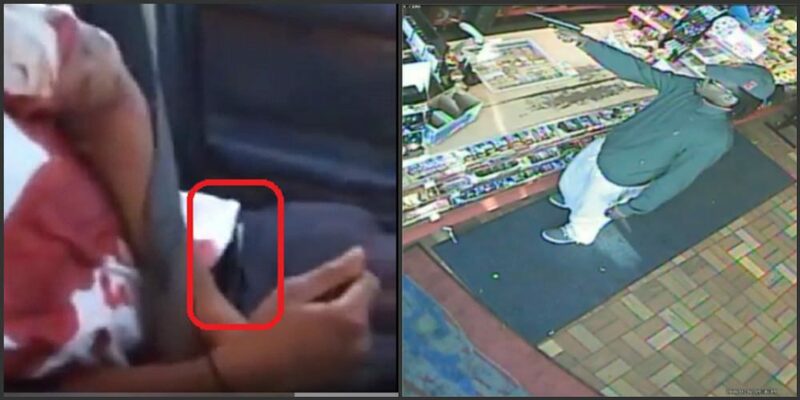 No real evidence has yet come to light supporting the notion that Castile had been involved in an armed robbery or was carrying a firearm illegally when he was killed.